Összeállításunkban közöljük 2006 brit kislemezlista-vezetőit. 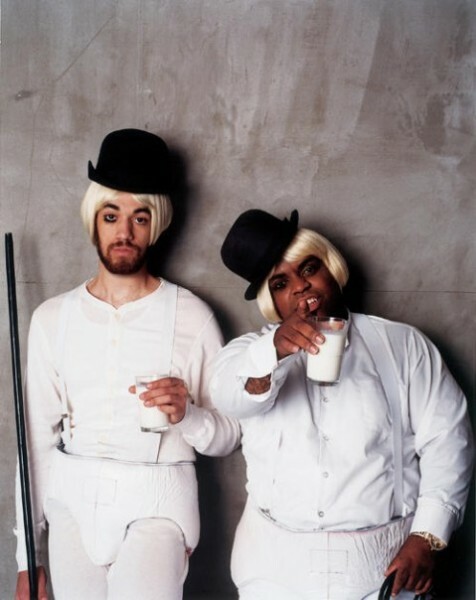 A leghosszabb ideig a Gnarls Barkley nevű duó trónolt, a Czray című slágerrel kilenc hétig uralta Európa legjelentősebb listáját. 1. Shayne Ward That’s My Goal 4 XII. 26. – I. 22. 2. Arctic Monkeys When The Sun Goes Down 1 I. 23. – I. 29. 3. The Notorious B.I.G. Featuring Diddy, Nelly, Jagged Edge & Avery Storm Nasty Girl 2 I. 30. – II. 12. 4. Meck Featuring Leo Sayer Thunder In My Heart Again 2 II. 13. – II. 26. 5. Madonna Sorry 1 II. 27. – III. 5. 6. Chico It’s Chico Time 2 III. 6. – III. 19. 7. Orson No Tomorrow 1 III. 20. – III. 26. 8. Ne-Yo So Sick 1 III. 27. – IV. 2. 9. Gnarls Barkley Crazy 9 IV. 3. – VI. 4. 10. Sandi Thom I Wish I Was A Punk Rocker (With Flowers In My Hair) 1 VI. 5. –VI. 11. 11. Nelly Furtado Maneater 3 VI. 12. – VII. 2. 12. Shakira Featuring Wyclef Jean Hips Don’t Lie 1+4 VII. 3. – VII. 9. 13. Lily Allen Smile 2 VII. 10. – VII. 23. 14. McFly Please, Please / Don’t Stop Me Now 1 VII. 24. – VII. 30. 12. Shakira Featuring Wyclef Jean Hips Don’t Lie 1+4 VII. 31. – VIII. 27. 15. Beyoncé Featuring Jay-Z Déjá Vu 1 VIII. 28. – IX. 3. 16. Justin Timberlake SexyBack 1 IX. 4. – IX. 10. 17. Scissor Sisters I Don’t Feel Like Dancin’ 4 IX. 11. – X. 8. 18. Razorlight America 1 X. 9. – X. 15. 19. My Chemical Romance Welcome To The Black Parade 2 X. 16. – X. 29. 20. McFly Star Girl 1 X. 30. – XI. 5. 21. Fedde le Grand Put Your Hands Up For Detroit 1 XI. 6. – XI. 12. 22. Westlife The Rose 1 XI. 13. – XI. 19. 23. Akon Featuring Eminem Smack That 1 XI. 20. – XI. 26. 24. Take That Patience 4 XI. 27. – XII. 24.